We've been talking quite a bit about your church's brand. Part of creating a quality brand for your church should include a guide for how to use your brand—it can include things like the logo, colors, fonts, voice and tone in the content you create, style guides for writing, and more. 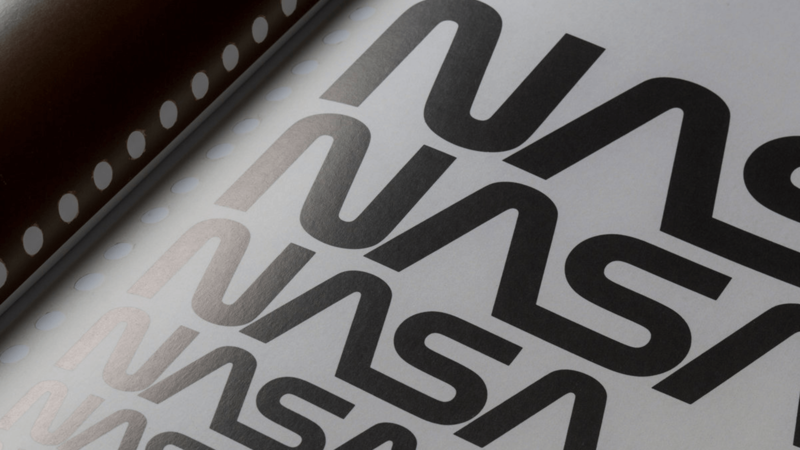 Here are some examples of brand guidelines that you are welcome to use for inspiration. 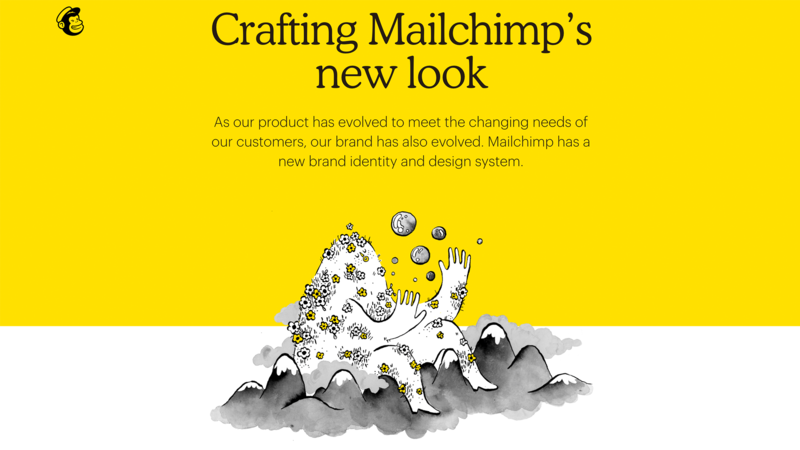 Mailchimp recently rebranded. 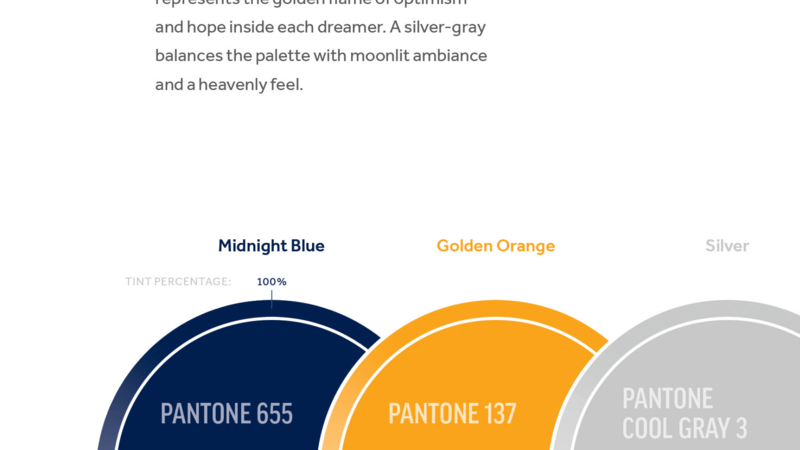 This website helped users understand their new look. Church Juice writer Joe Gallant created this simple "tile" style guide. 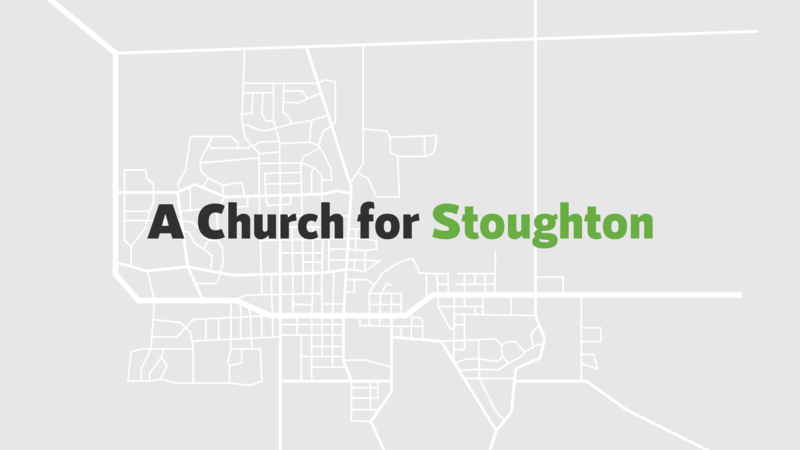 About a year and a half ago, Encounter Church rebranded. As part of their image update, they created this guide to help ensure everyone is on the same page with how to use their new brand—not just the logo, but what language to use, too. Yep. The guys that go to space pay attention to even the smallest details. That might explain why their "Graphics Standard Manual" is 220 pages. But it's a lot of awesomeness. Dream City Church's Identity Guidelines handbook is filled with details, imagery, and information to help ensure anyone involved with the church's brand knows everything they need to know. This might be the best guide I've seen. My friend Kyler Nixon is a StoryBrand Certified Guide, and a pretty great designer. 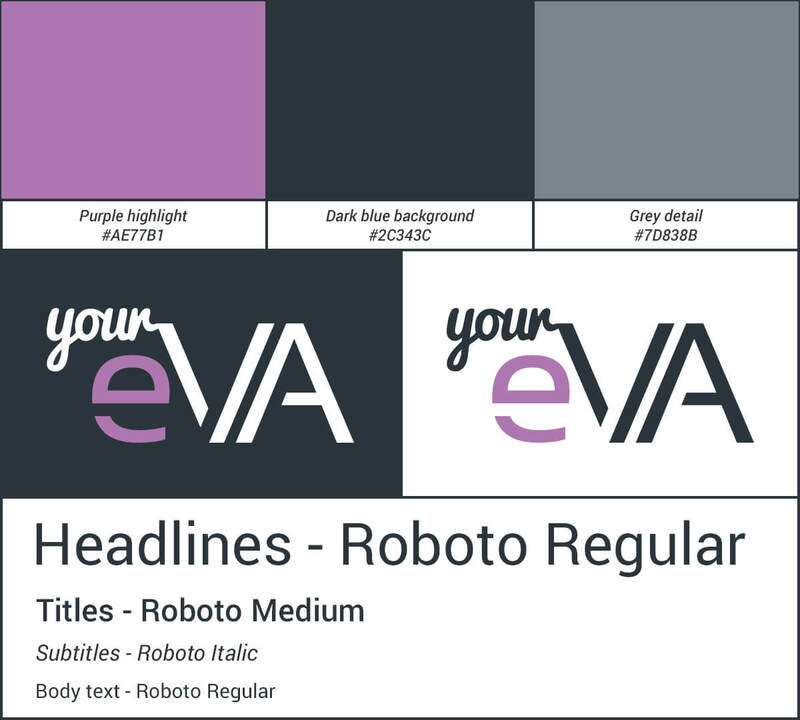 This is one brand guide he created for Ezra Church. 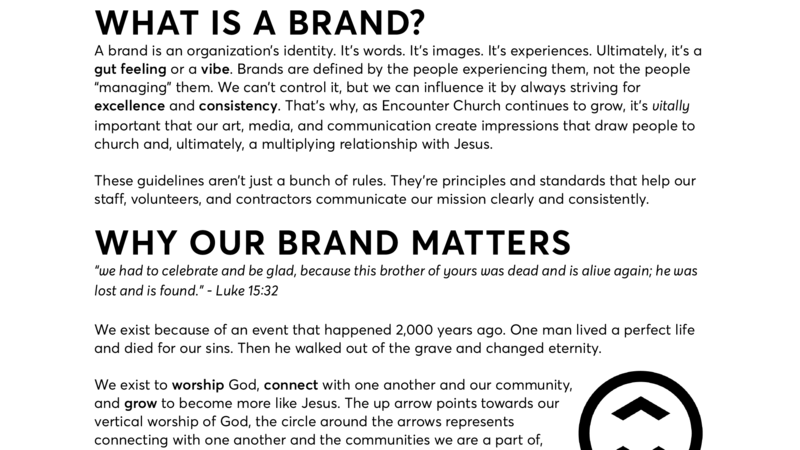 Does your church have a brand guide? What do you think is important to be included? Leave a comment below or join the conversation in our Facebook Group.